Ireland is typically believed to be the birthplace of Halloween. In Great Britain, Jack-O-Lanterns were traditionally made from turnips. The Halloween custom came to American through Irish immigrants, and since turnips weren’t cheap, Americans used pumpkins. Today, pumpkins are used worldwide, to the disappointment of turnip farmers everywhere. 99% of all pumpkins sold are used for jack-o-lanterns at Halloween. A Swiss gardener grew the world’s heaviest pumpkin. 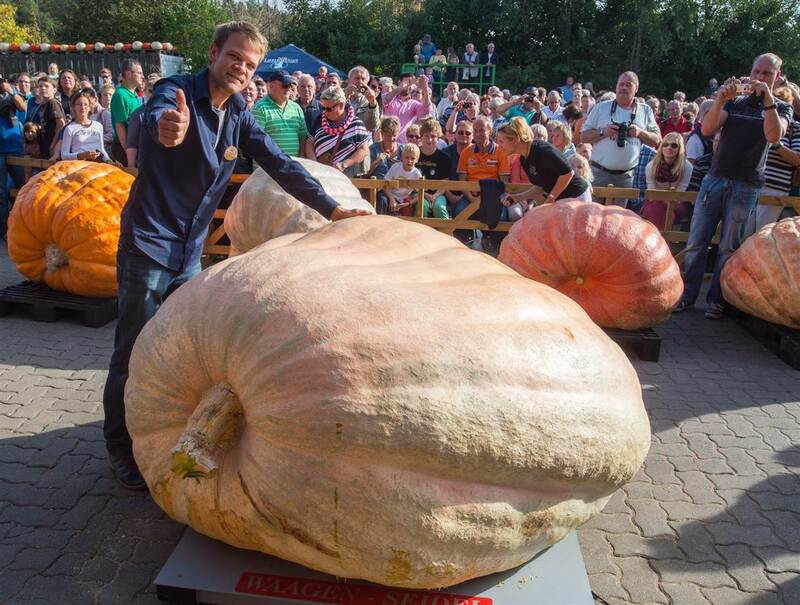 Beni Meier, 30, grew the pumpkin that weighed in at 2,096 pounds. New Orleans holds the current world record for largest Halloween Party with 17,777 costumed revelers at once. The Village Halloween parade in New York City is the largest Halloween parade in the United States. The parade includes 50,000 participants and draws over 2 million spectators. 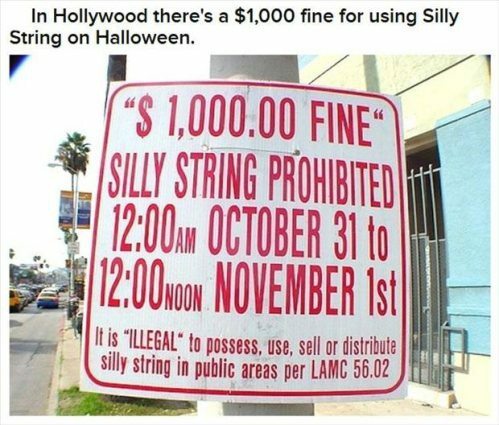 In many countries, such as France and Australia, Halloween is seen as an unwanted and overly commercial American influence. A 1951 Peanuts comic strip can be credited with the popular spread of trick or treating as we know it nationwide. Candy corn has been made with the same recipe by the Jelly Belly Candy Company since around 1900. What’s in that recipe, exactly? Sugar, corn syrup, and marshmallow. One serving (about 30 pieces) has 140 calories. October 30th is National Candy Corn Day. Chocolate candy bars top the list as the most popular candy for trick-or-treaters with Snickers #1. Chocolate makes up about three-quarters of a trick-or-treaters loot, according to the National Confectioners Association. Which is good because fifty percent of kids prefer to receive chocolate candy for Halloween, compared with 24% who prefer non-chocolate candy and 10% who preferred gum. In 2010, 72.2% of those surveyed by the National Retail Federation will hand out candy, 46.3% will carve a pumpkin, 20.8% will visit a haunted house, and 11.5% will dress up their pets. 86% of Americans decorate their homes in celebration of Halloween. Halloween is a $6 billion industry, making Halloween the second highest grossing commercial holiday after Christmas. Halloween Fun Fact: In Alabama, it is illegal to dress-up as a priest. The hunkalicious Stuart Reardon wearing pink for the cause. Now it’s time to like the page and leave a comment. Friend me on Facebook too.